Terrific shoot ’em up, mindless yet smart, thrillingly violent yet tasteful. John Wick (Keanu Reeves) is a retired hitman, at least until the snot-nosed son of New York City’s crime boss steals his car and destroys the last gift given to him by his beloved, deceased wife. Oh, and then it’s on. The film sports sixty to eighty beautifully choreographed deaths (the co-directors are seasoned stunt coordinators), a few funny lines, and a clever depiction of a criminal underground with its own rules, parlance and neutral Switzerland. 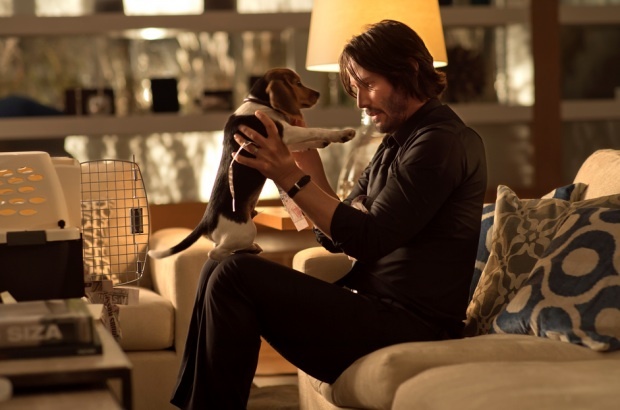 Reeves plays Wick straight and dead serious, so we are not tormented by smirks, tag lines or witty asides. And the bad guys are, as they should be, the most interesting characters in the film. If there is a criticism, it’s this: whatever the final count, it’s about 20% over the killings the film should have. Nobody can employ that many henchmen in this economy.